Prepared by Ian Smith, 22nd July 2010. 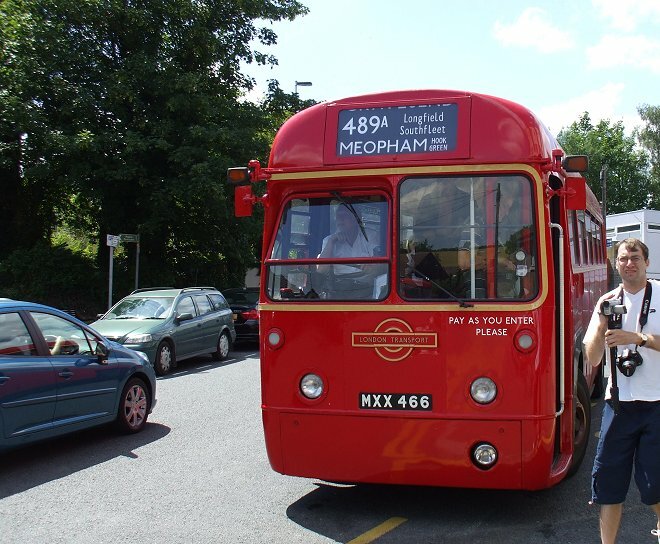 I hopped onto RF489 just as it was leaving on another 489A trip to Meopham via Longfield. We pulled round to the town and I requested a stop at the station for a photo. 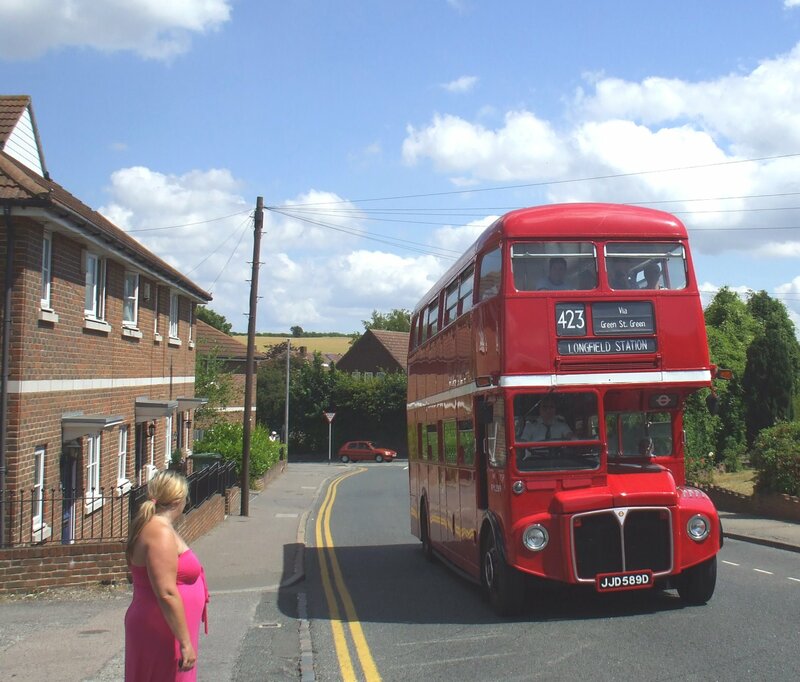 Then we went on, turning left to head for Perry Street and over the bridge and up the narrow lane to Southfleet Station. 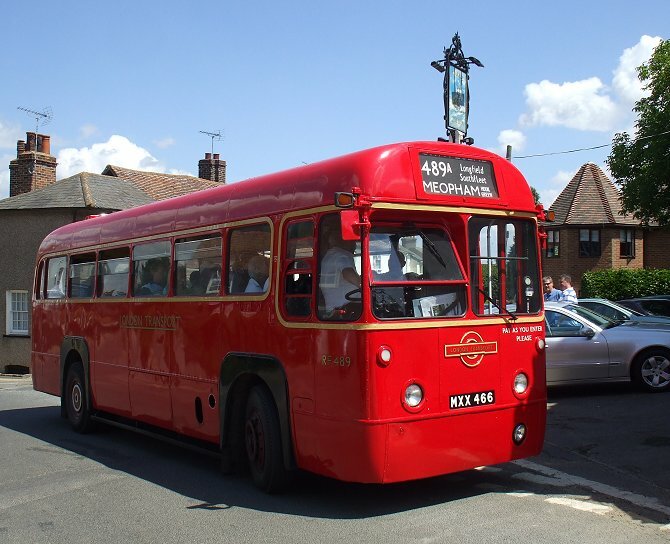 There we turned for Southfleet itself, and paused for photos at the crossroads in the tiny village. 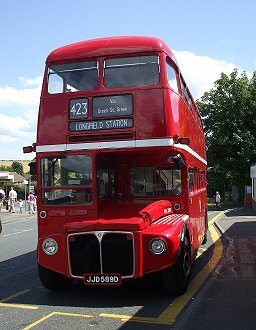 We rumbled on through to Westwood, where we turned left on the road to Longfield. The now-redundant link to the Channel Tunnel railway kept us company down towards Longfield, where we turned up to the station. 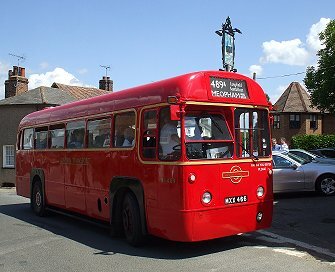 There I was surprised by Redroute Buses' step-entrance Dart, ex-EDR43, which was just pulling away. We rolled a few yards down the hill to the eastbound stop, and folk alighted to take pictures. Just then RML2589 turned the corner and roared up the hill towards us, terminating on a 423 from Dartford. I gave my thanks to Ashley on RF489 and headed across to the station, where the big red bus was having its blinds changed for the return journey. For once I went upstairs, where there was a seat right at the front. 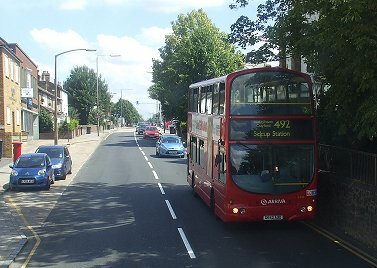 We set off north-westwards, down to the crossroads at the west end of the village, then on under the High Speed Link line. 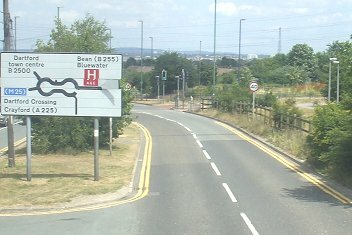 We rumbled on through the parched countryside, more reminiscent of the South of France in late August than of England in early July. We passed through Green Street Green, and by-passed Watchgate, curving north over the North Downs into the outskirts of Dartford. 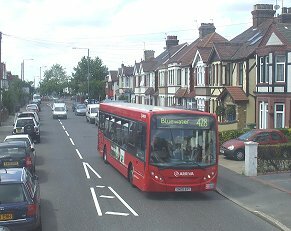 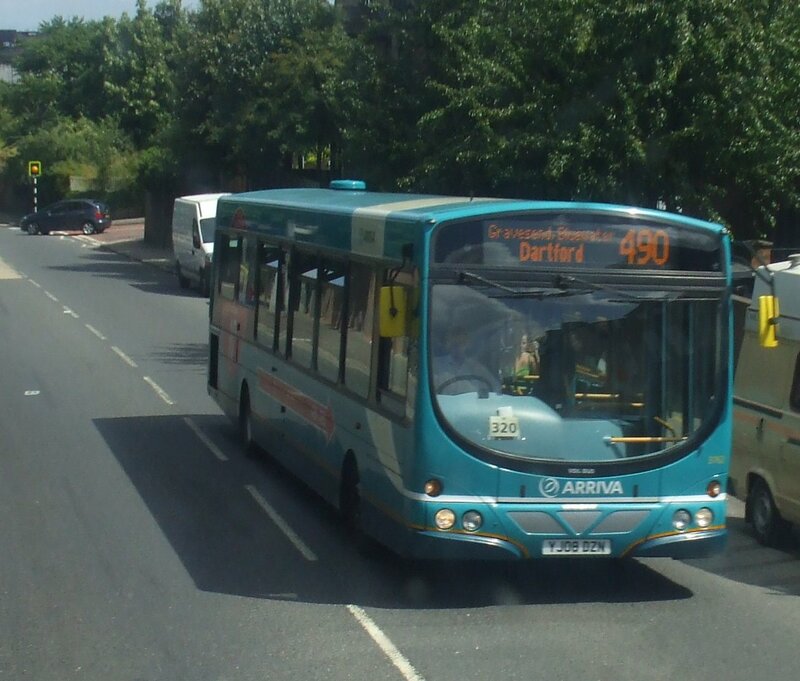 We turned down towards the town centre, and passed Enviro200Dart 4031 on the 428 to Bluewater. 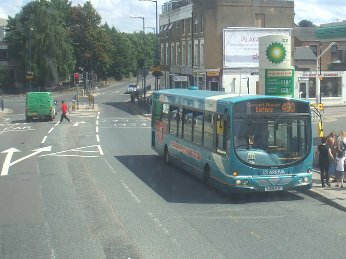 It was closely followed by DAF/Pulsar Gemini 6216 on the 492, also heading for the shopping pit. 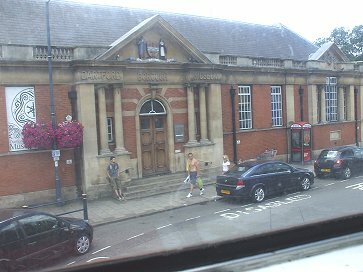 We dropped down into the town, and were soon turning the corner by Dartford Library, where the trolleybuses used to terminate. 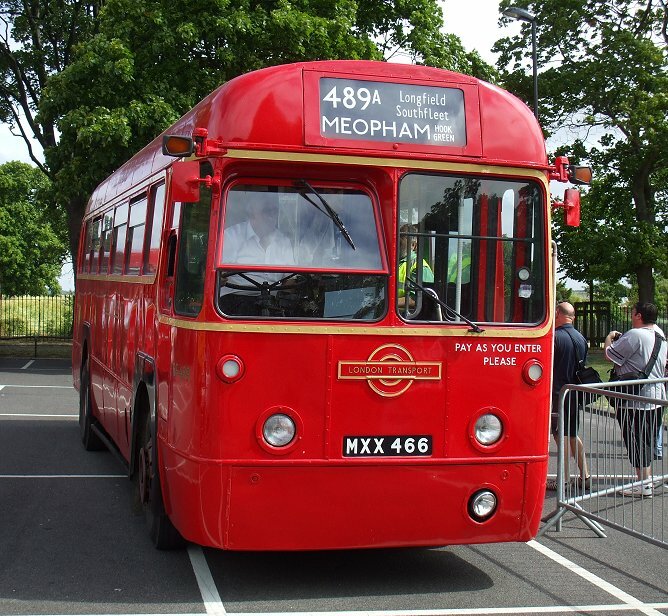 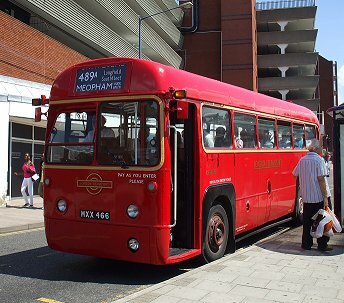 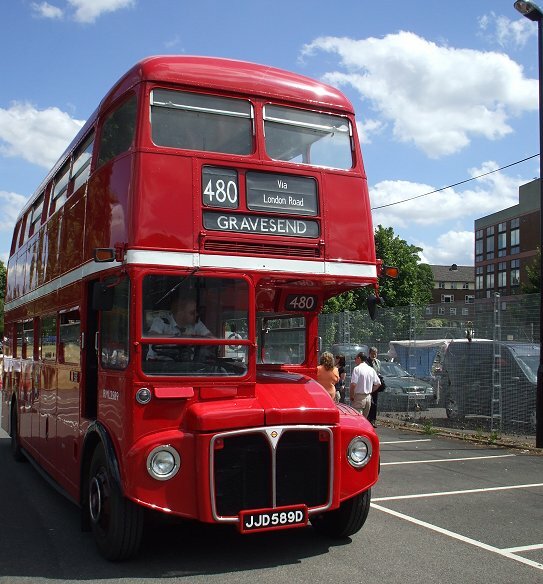 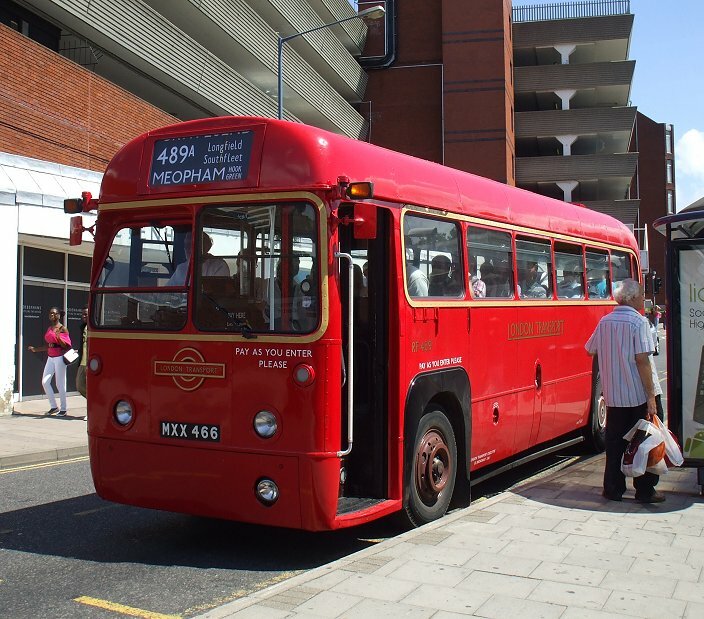 Having taken some pictures at the terminus, I reboarded RML2589 for the trip back to Gravesend along the riverside road, a journey made several times as a youngster on Green Rovers. 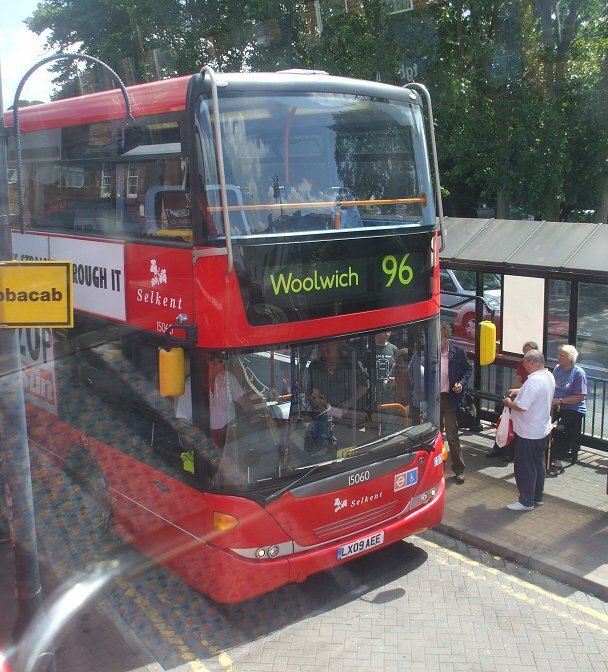 A modern replacement for the 696 trolleybuses pulled up alongside: Polish Scania OmniCity 15060 on the 96 to Woolwich. Perhaps it'll be a trolleybus route again, when the diesel runs out in twenty years time. 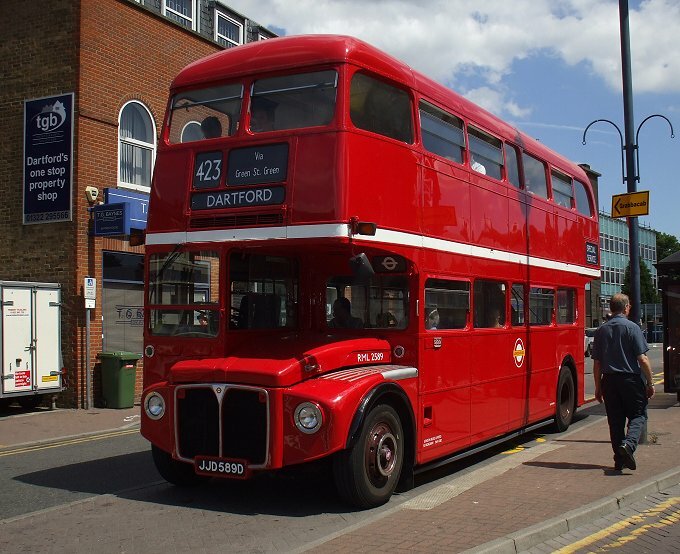 We had stood a few minutes untikl right time, then headed off round the loop past Dartford Station, to climb back up the hill out of Dartford. 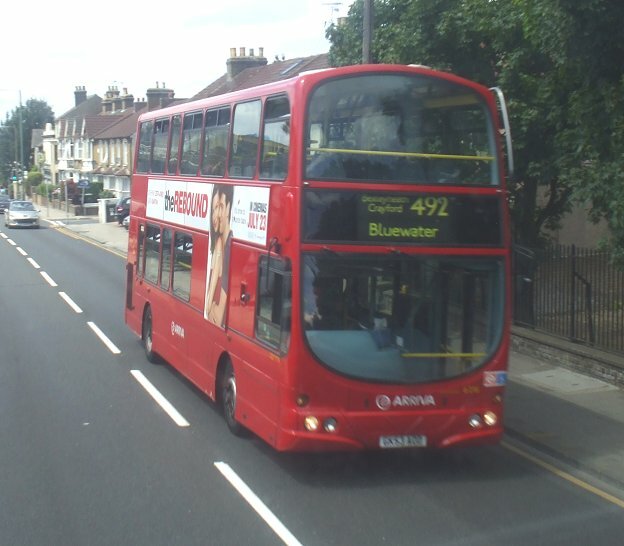 We passed another of the OmniCitys - and then 6216 again, which was returning from Bluewater with a 492 to Sidcup. 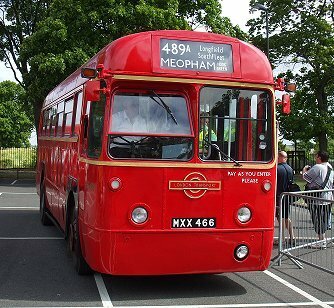 We passed the old tram limit at Horns Cross and dropped down towards the junction at Greenhithe. Another OmniCity headed westwards on the 96. We continued along the ridge road, meeting Arriva's Pulsar 3762 on a westbound 490. 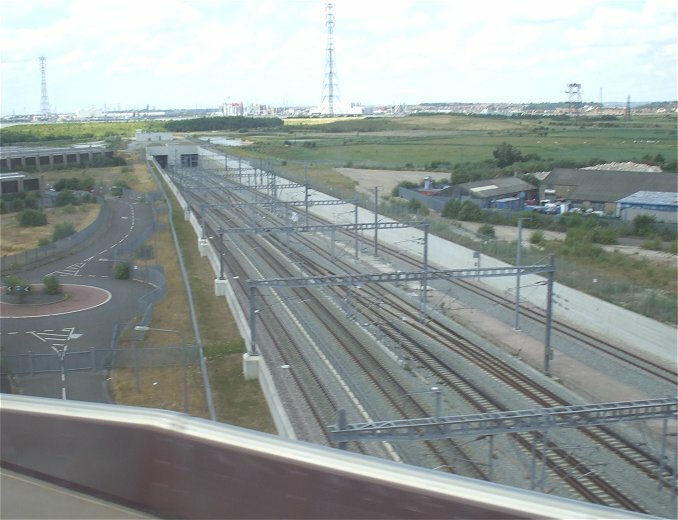 We descended towards Ebbsfleet, crossing High Speed 1 just after its emergence from the Thames Tunnel. We climbed up into Northfleet, passing DMS1868 on the westbound 480. 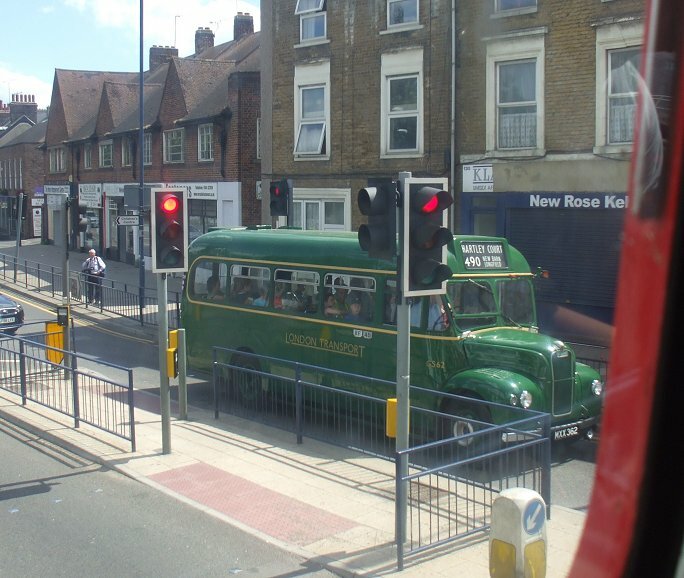 We rumbled along the clifftop road, the view from the top of the double-decker excellent. 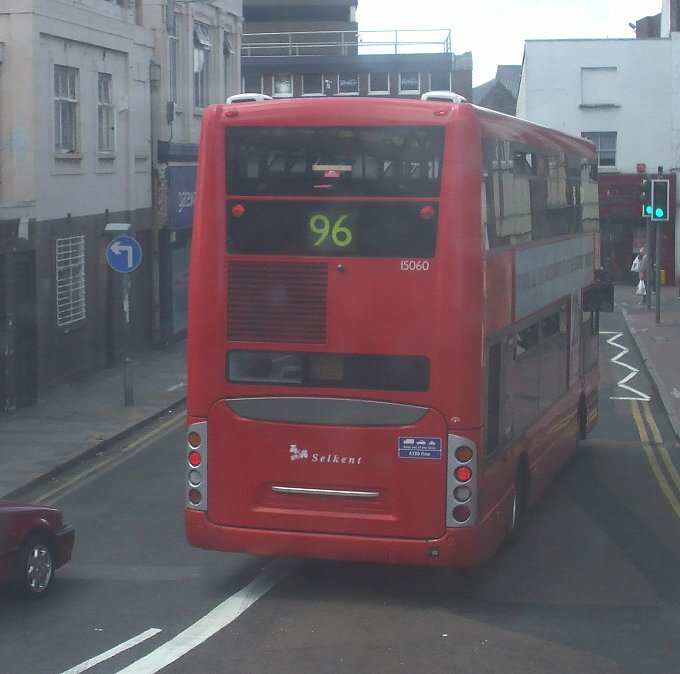 Ships were still moving on the top of the tide. 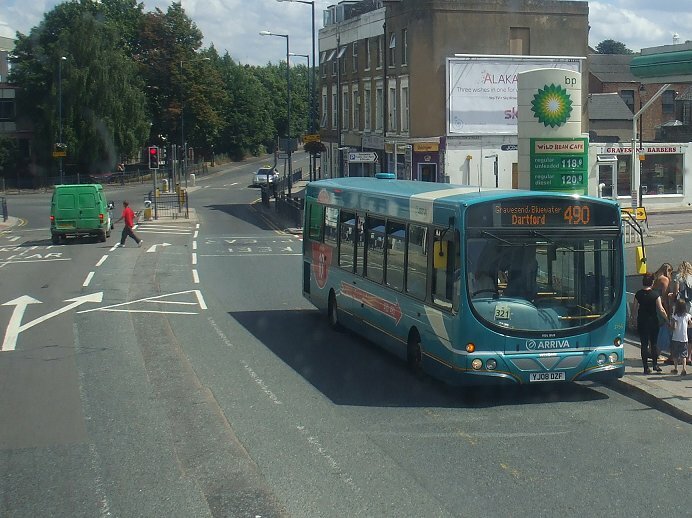 We wound round the centre of Gravesend to the clocktower, then met another of the Pulsars, 3756, on the next 490, just before reaching our destination. 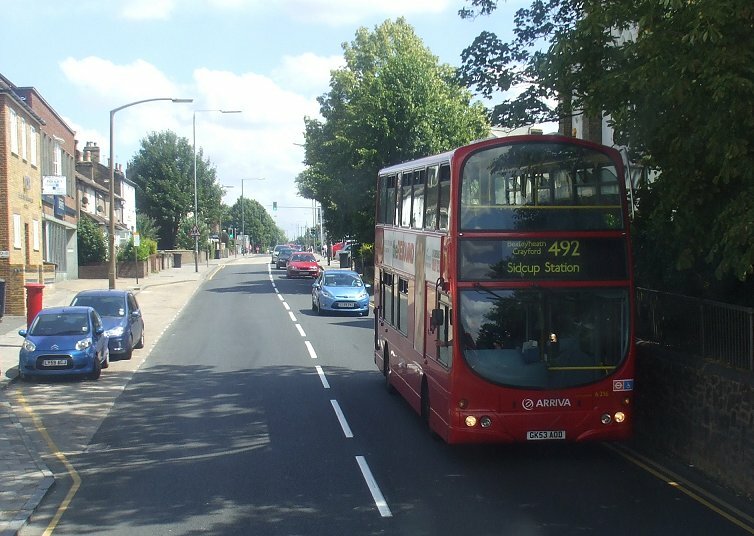 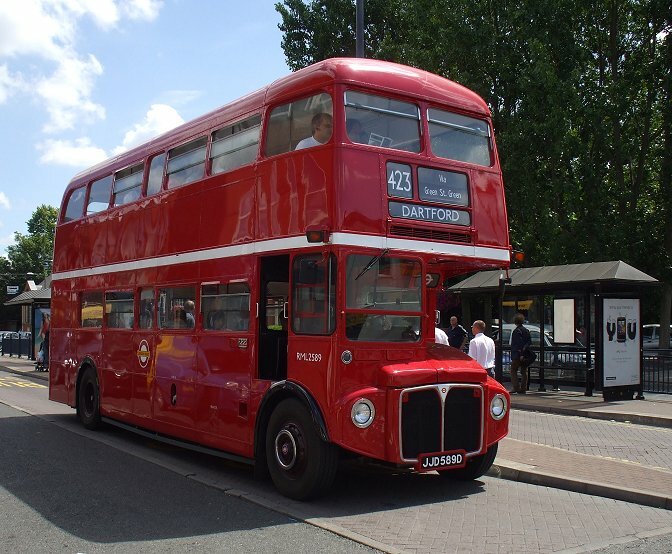 The modern single-decker was followed across the junction by GS62, working an older version of the 490, to Hartley Court.